The Chi-O Economy (Chi Organizer) is a revolutionary device that is used to harmonize a human or animal. Around us there are innumerable transmitters en devices who, with their artificial electromagnetic radiation, disturb our environment even further. 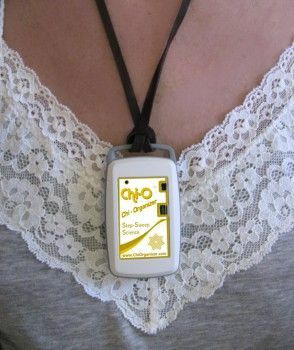 The Chi-O generates and distributes bio-friendly frequencies. These are frequencies that are used by the cells of organisms to flourish. Generates bio frequencies and thus helps to reduce the effects of electromagnetic radiation (4g, 5g, DECT, Wi-FI). Very suitable for high-sensitivity people who want to stay closer to themselves. 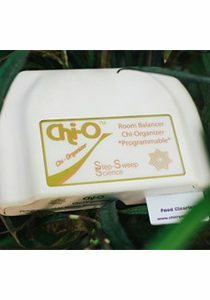 The Chi-O Economy (Chi Organizer) uses a “sweepgeneraror” that only creates bio-friendly frequencies. These frequencies thus mimic nature and ensure optimal functioning of the human body. Nature has been producing electromagnetic frequencies for millions of years, which have led to the evolution of plants and animals. Some frequencies, such as the Schumann Resonance frequency, are vital for human health and well-being. At the beginning of the space programs in the US and Russia, astronauts became very ill in space. Eventually they discovered the cause. Small Schumann Resonance frequency generators were then installed in the spacecraft to prevent this. Our cells are also focused on the small, seemingly insignificant signal that is produced by lightning on the earth. Normally there are about 50 lightning strokes per second over the entire earth. This produces electromagnetic waves that have surrounded us at the beginning of time. When this lightning comes closer to us, we also get wavelengths in the range of 3 KHz – 10 MHz. These bio-frequencies have many harmonious qualities that affect health and vitality. But when we are exposed to disharmonious frequencies of, for example, electronic gadgets and dirty electricity, we notice that immediately. Our body then reacts in a non-harmonious way and that has a negative effect on health and vitality. Certain harmonic (ie the golden ratio) frequencies are connected to life. There seems to be a pattern and matrix that follows the life force to create and maintain life as we know it. These patterns are repeated in different fractal forms. More and more people are hypersensitive to radiation, also called electro hyper sensitivity. This device can greatly reduce the sensitivity to radiation. This is because the Chi-O literally replaces the pathogenic frequencies with frequencies that feed the cells. This makes the flow of energy (chi flow) optimal again and you will start to function better. We use it ourselves as a supporting measure for the next 5g network. The amount of radiation from this new network will be much higher than that of the current 2g, 3g and 4g mobile networks. In addition, the chosen frequencies for 5 g are even more disorganized for organisms. Chi-O Economy (Chi Organizer) can induce a detoxification reaction. This is known as a Herxheimer reaction and indicates that you are actually considerably out of balance. By drinking enough water and quietly building up the use of the Chi-O Economy (Chi Organizer), this can be reduced. After a few weeks you are used to the device completely. You can try the Chi-O Economy (Chi Organizer) for 14 days. This allows you to experience for yourself what this device can do for you. Money is not good. * The Chi-O Economy (Chi Organizer) uses subtle energy and the effect is therefore not physically measurable. If you have any complaints, we advise you to always consult a doctor. The Chi-O Economy (Chi Organizer) is not a drug or a replacement for it.